I was asked to do a simple presentation on embroidery to my fellow sewing guild friends at our Neighborhood Group meeting in August. Machine embroidery is not something a lot of them have adventured into yet. I love embroidery, so I was happy to go over the basics. The meeting even motivated one member to buy her first embroidery machine! There are four basic things you need to do in order to get a design embroidered on an item. Obtaining a digitized embroidery design file. Loading the design file onto the embroidery machine. Stabilize the fabric and position it to be embroidered. Start and monitor the machine as it embroiders. In order for a design to be embroidered, it needs to be digitized into a format that your embroidery machine understands. .pes Brother, Baby Lock - most common format used by home machines. 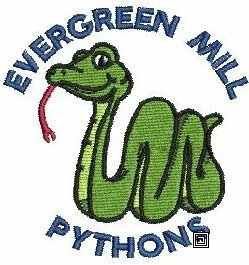 Software is available which can convert embroidery files to other formats. Embroidery designs are available for purchase online and on CD/DVDs. 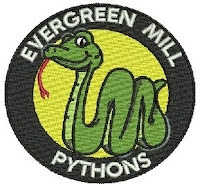 Many designs will come preloaded on your embroidery machine as well. This design fits in a 4"x4" hoop. This is the same 4"x4" design without the background fill. Stitch Count - number of stitches the design contains. This is an indicator of the amount of work needed to stitch the design. An embroidery machine's "speed" specification indicates the maximum stitches per minute the machine will do. Home embroidery machines range from about 400 to 1000 stitches per minute. Density - the density of the stitches in a design will factor into how heavy it will lay on the fabric, and the type of stabilizer needed to support the design on the chosen fabric. The more open, less dense a design is, the lighter it be on the fabric. The more dense the amount of stitches are in a design, the more support it will need. 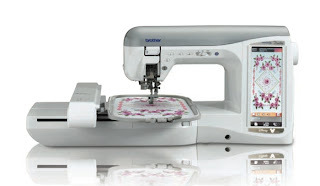 Design Size - home embroidery machines come with one or more hoops to accommodate various design sizes. The most common size is a 4"x4" hoop, then the 5"x7" hoop. Many designs are usually included in our embroidery machine's memory. Either a USB stick, USB cable from your computer, or an embroidery card can be used to transfer embroidery designs to your embroidery machine. Before you start stitching, you need to stabilize the fabric so that it can support the extra weight and tension that will be added by the embroidery. 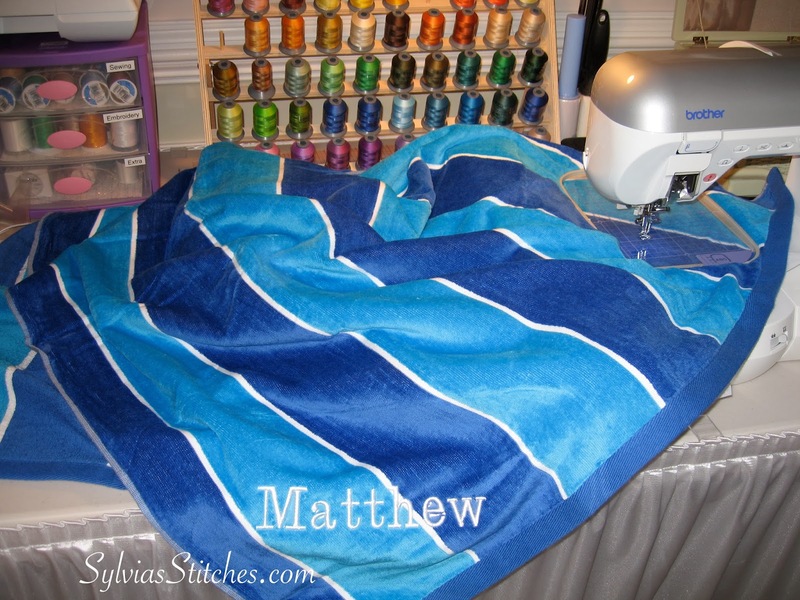 Recommend test-stitching your fabric and stabilizer first. Denser stitch-count designs require a stronger stabilizer. Use sticky-back stabilizers for items that are awkward to hoop, or may be marked by hooping. Temporary spray-adhesive is also useful to stabilize the fabric while doing embroidery. Thin, plastic wash-away stabilizers are good to use for toppings to prevent the stitching from being lost in the nap of fabric. Thread tension for embroidery is best with a slightly tighter bobbin tension so that only the top thread shows on the correct side. Start each project with a fresh new needle. Use embroidery thread or embroidery bobbin thread in the bobbin. The weight of the bobbin thread should be less or equal to that of the top thread. Yahoo! Groups for your embroidery machine.